Courtesy of Jason Groves, New Mexico State University, Crimson to the Core and 3rdandCrimson Blog. LAS CRUCES, N.M. – New Mexico State men’s basketball fans took advantage of the Crimson and White Scrimmage, Saturday, Oct. 19 in the Pan American Center to get a glance at the 2013-14 squad. Head coach Marvin Menzies used various lineups to show the fans what they might expect when the defending Western Athletic Conference champions take the floor. Junior guard Daniel Mullings played well both on the offensive and defensive side of the ball while redshirt junior center Tshilidzi Nephawe rebounded the ball well on both sides of the court while creating plays for himself inside the key. The Aggies have an exhibition game against Western New Mexico, Tuesday, Oct. 29 at 7:00 p.m. (MT) in the Pan American Center. The exhibition game is a free event. 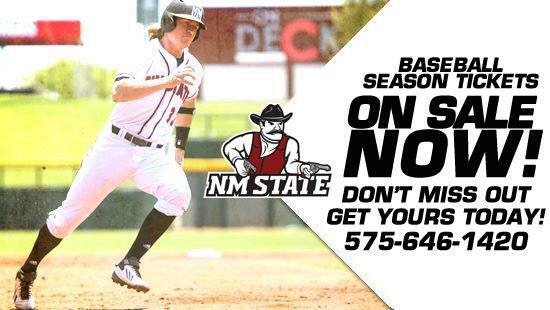 Season tickets are on sale and can be purchased at the Pan American Center ticket office or by calling the ticket office at 575-646-1420.